Everyday motocross and off road riders will hop on their KTM motorcycle whether preparing for a race or just for recreational purposes. As a rider of a KTM off road motorcycle, do you know your bikes history? 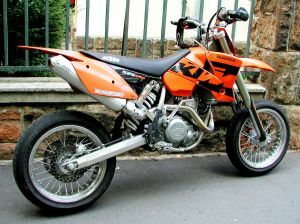 KTM is an Austrian manufacturer of bicycles and mopeds. Originating as a metal working shop called Kraftfahrzeuge Trunkenpolz Mattighofen (KTM). Although the company was founded in 1934 by Hans Trunkenpolz, it wasn’t until 1954 when KTM produced its first motorcycle. At this time, a company call Rotax made engines for KTM motorcycles, while the remaining parts, brakes, chains, and sprockets for the off road KTM motorcycles were made within the metal working shop, where only three motorcycles were completed a day. In a 50 year time period KTM grew from just 20 employees to 180, and became a multi-million dollar company. 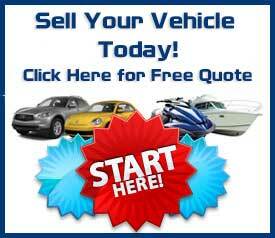 Unfortunately in 1988 the demand for buying motorcycles and mopeds had a significant fall. After becoming insolvent in 1992 KTM was taken over by banks, who made drastic changed to the company. KTM was split into three different companies, KTM Fahrrad GmbH (producing bicycles), KTM Kuhler GmbH (producing radiators), and KTM Sportmotorcycle AG (previously known as KTM Sportmotorcycles GmbH) specializing on off-road motorcyles. After the ups and downs in previous years, in 2005 KTM partnered with Polaris with an agreement to spread their branding into each others territory. This brought KTM to North America, and Polaris to Europe. After the two year trial of the agreement, rather than merging the two companies into one, KTM began supplying only the 450 cc and 510 cc RFS engine to Polaris. In recent years KTM has became very successful as it became extremely popular in Motocross Racing. The most success came from Supermoto, or Supermotard. They developed a Superbike competition in which a new line of higher output bikes were created. All KTM’s which are competition ready will have a heavy branding of their name. From bold black, silver and orange coloring to the KTM emblem on the side of the radiator. KTM continues to produce a vast range of motorcycles for all types of riders, whether it be motocross, off road, or even cross country. 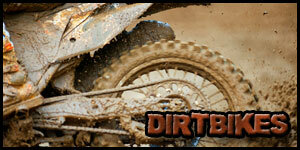 With their high quality productions it has become one of the most preferred brand in motocross and off road riding. View our inventory of KTM off road motorcycles.